I'm Angel a creative Devon based wedding and elopement photographer. I love authentic love stories, adventurous destination weddings, and intimate elopements. Devon-based creative documentary wedding photographer specialising in natural wedding photography in Devon, the UK and overseas. No staid, staged photography here. I capture real emotions and the pieces people miss. 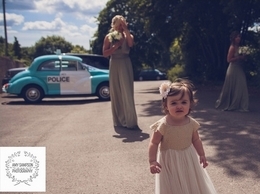 Award winning documentary wedding photographers based in Devon and covering weddings throughout the UK and Europe. 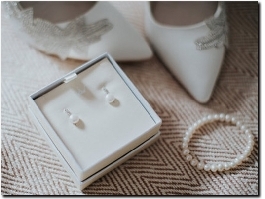 Luxury wedding albums and coffee table books. Freelance photography services, events, commercial and portrait photography, image editing, tutorials, photo galleries. Located in Exeter, Devon, England. My name’s Nick England and I’m a professional photographer, based in Dubai, specializing in a range of corporate photographic services. Dave Gibbeson is a Devon based landscape photographer capturing the landscapes and coastline of the South West of England and beyond. My photography combines TRADITIONAL, FREESTYLE and CONTEMPORARY styles to create photographs uniquely matched to YOUR individual needs. Jennifer Baker Photography provide stylish black and white wedding photography, contemporary colour wedding photography - capturing weddings in a natural, documentary, reportage style.